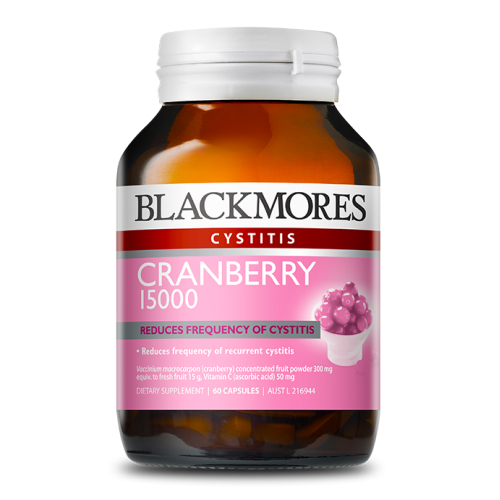 A potent 15 000mg extract to help reduce the frequency of recurrent cystitis. A concentrated, potent, cranberry extract to promote urinary tract health. The two-piece capsule may be pulled apart and contents sprinkled over food or into drinks. Cranberry contains active constituents called proanthocyanidins which have been found to discourage bacteria from sticking to the bladder wall. Cranberry has also been useful for reducing urinary odour associated with incontinence. Cranberry may increase the risk of bleeding with warfarin. Consult your healthcare professional before use if taking warfarin.